These are some links to things I've found useful. The Guide to DMR in the UK△ by Eric, G6FGY – Provides good coverage of many aspects of DMR. QRZ.com△△ – look up info about hams by their callsign or name. Also news, forums, and a swap meet section. Anytone 868 from New to First DMR Contact△ by Chris, 2E0UKH. Registrations for Europe and Africa are handled by the European DMR-ID registration system△. Choose "Register services for an individual callsign (including private hotspots and private repeaters)." Registrations for everywhere else, including the U.S., are handled by RadioID.net△. A good place to find a current list of DMR nets is the Telegram Channel Ham Radio DMR Nets△. What follow is some nets I've come across and enjoyed, but there's no guarantee that they're still active (please let me know if they aren't). FRI: Colorado HD (Hotspot Discussion) net△, a multiprotocol net held each Friday at 7:30p MTN. Several Northern Colorado DMR hams—led by Bud, W0RMT, and Jimi, N7VDR—developed the Colorado Digital Multiprotocol group△ and the associated Colorado HD (Hotspot Discussion) talkgroup. A few other interesting or helpful things. The display names are just what I use. Links are to the BrandMeister Hoseline service, so you can get an idea of the activity on the talkgroup. The display names are just what I use. Talkgroups 3100, 310, 311, 312 are linked across BrandMeister and DMR-MARC. The BrandMeister U.S. regional talkgroups mirror the callsign assignment regions shown in this ARRL WAS map (PDF)△. Links are to the BrandMeister Hoseline service, so you can get an idea of the activity on the talkgroups. On repeaters, these talkgroups typically are on time slot 1. The display names are just what I use. Links are to the BrandMeister Hoseline service, so you can get an idea of the activity on the talkgroups. 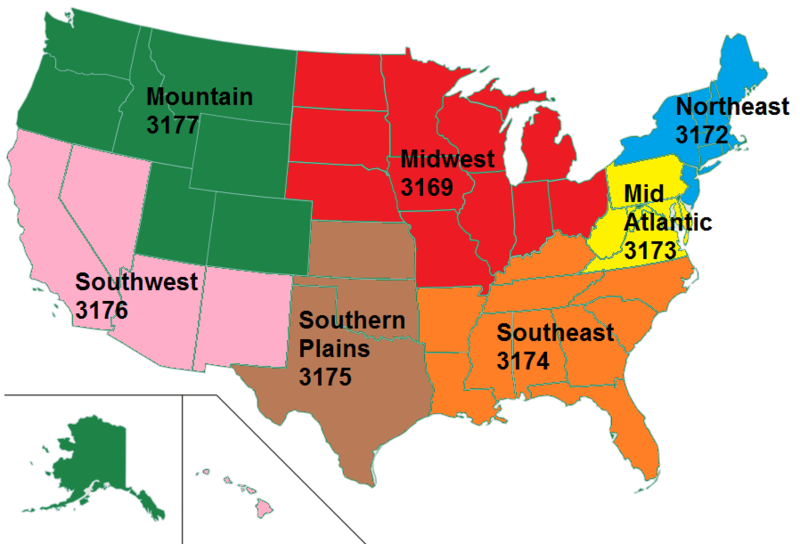 On repeaters, the home state talkgroup is typically on time slot 2. The display names are just what I use. BrandMeister 3148 (TX STWD) is crosslinked to DMR-MARC 9000. The seven DMR-MARC U.S. regional talkgroups have a different grouping. The Northern Colorado (NoCO) DMR group△ is a group of Northern Colorado amateur radio operators who operate and maintain an amateur radio DMR repeater network. Usage of the repeater system is open to use by all licensed amateur radio operators with the appropriate privileges. NoCO DMR talkgroups△ (BrandMeister). The display names are just what I use. There is work being done to include DMR into existing XLX reflectors, and by linking into the XRF/XLX infrastructure. D-STAR: XRF002, XRF310, XRF555, (all modules A-Z) and XLX313 (modules A-F). DMR: Use XLX313 as the master and select talk group 4001-4006. XLX212 is DMR only with 26 talk groups 4001-4026. XLX313 provides full time transcoding on all 6 modules. All nets are available on both D-STAR and DMR. Transcoded modules also available for QSOs. To download John's paper, which provides a very good explanation of the interplay between XLX and XRF reflectors, subscribe to Groups.io: Kings of Digital Notify△. You can then find the paper in the Files section: XLX XRF DMRGateway:Pi-Star 060818.pdf△. Bob, K6UDA, has a good video about this: D Star XRF Reflectors – A Whole New D-Star Experience△. See the X Reflector Directory△ for more constellation nets. As of Aug 2017: Private calls to 8001 - 8999 can be used to select XLX masters, for example, 8313 = XLX313. In early May 2018, the Kings of Digital announced a Notify service "to enable users to notify each other of either planned or ad hoc discussions on the Constellation." For more info, see: Kings of Digital Notify group△. These are simple features made a bit more complex by the fact that things behave differently when you connect to a BrandMeister talkgroup via a hotspot than when you connect via a BrandMeister repeater. Additionally, simplex and duplex hotspots behave differently related to auto-static talkgroups. Here's how I understand static, dynamic, and auto-static BrandMeister talkgroups to be working as of Mar 2019. Regular static talk groups are permanently linked to a repeater by an administrator using BrandMeister's SelfCare web dashboard. They can only be disconnected by the repeater administrator. Dynamic talk groups are only temporarily linked to a repeater system each time someone keys up on a talk group. A dynamic talk group will time out … and automatically disconnect from the repeater. This makes it easy for users to share a repeater with different talk groups. Network system administrators or repeater administrators determine how their repeaters are configured. Some allow only specific static talkgroups to be used on each time slot; others allow only static talkgroups on time slot 2, and allow dynamic talkgroups on time slot 1. In the latter case, the convention is to use time slot 1 to key up dynamic wide-area talkgroups, while local talkgroups typically are static on time slot 2. BrandMeister system administrators tend to allow more dynamic talkgroups, while other networks can be more restrictive. The best way to understand how a repeater is configured is by visiting the specific repeater's website or by contacting the repeater operator. When you activate a dynamic talkgroup on a repeater's time slot by keying up, it remains activated while there are transmissions on it, then drops from the repeater after some preconfigured period of inactivity, most commonly 15 minutes, but it can be some other period of time that the administrator has configured. When you're finished using a dynamic talkgroup, you don't need to manually unlink from that talkgroup; you can just key up another talkgroup or turn off your radio. Note: Keep in mind that that this article is specifically addressing talkgroups. BrandMeister USA formerly supported linking to reflectors as well, but discontinued allowing that in late 2018. Some other networks still support linking to reflectors. This section mainly addresses how auto-static talkgroups work with hotspots, but also will address how static talkgroups work with hotspots. 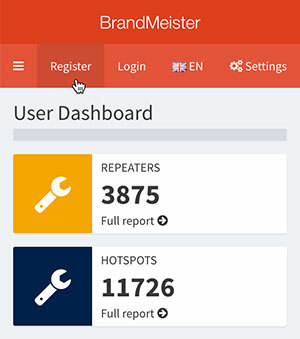 The BrandMeister network has an additional talkgroup connection feature called "Auto Static" that applies to simplex hotspots. Disclaimer: I don't know the background of why the auto-static feature was designed to work as it does. Perhaps it's meant to make things easier for hotspot users, so that we don't need to log into BrandMeister SelfCare in order to make a talkgroup we want to connect to static so that it won't time out. Regardless, that's the way the BrandMeister system administrators have designed things. My personal goal is to try to understand the feature well and use it as best as possible. The good news is that the auto-static feature is currently working better than ever. Simplex (hotspots) stay connected, the connection doesn't drop. Duplex hotspot / Repeater installation: the link is dynamic and will drop after X mins of no local use, unless you set a static [connection] with BrandMeister SelfCare. So the behavior of a duplex hotspot is similar to a repeater, but the behavior of a simplex hotspot is different. In a wide browser window, it's the open left panel. On a mobile device or in a narrower browser window, it can be opened by clicking the top left Menu button (looks like three lines stacked on each other, and is commonly called the "hamburger" button). Click My hotspots to open a list of your hotspots, and then click the CCS7 ID associated with the hotspot you want to look at. In the hotspot Settings window that opens, scroll down to the Static Talkgroups section to see which talkgroups are static. Note: It can take a minute or so for an auto-static talkgroup to show up in the Static Talkgroups list (sometimes you must refresh to see the change). In a desktop browser window, if you point your mouse cursor at a listed auto-static talkgroup, you'll see a tooltip identifying it as "Auto Static." Note: The rest of the tooltip hasn't been updated to accurately reflect how the auto-static feature is working as of Mar 2019. Per my testing, the tooltip should read: "This talkgroup was set automatically as auto-static due to it being the last talkgroup keyed up." Key up a different talkgroup – This will cause the new talkgroup to become connected as auto-static, and the previous talkgroup will be disconnected. This works even if the new talkgroup is one that you already made a static talkgroup (see "Static talkgroups" below). Note 1: It can take a minute or so for the new talkgroup to show up in the Static Talkgroups list, as well as for the previous one to be cleared off the list (sometimes you must refresh to see the changes). Note 2: If the new talkgroup is one that you previously made a static talkgroup (see "Static talkgroups" below), it will be listed twice, as a Static talkgroup (no ToolTip when you point at it), and as an Auto-Static talkgroup (displaying an "Auto Static" ToolTip when you point at it). Key up a public call to talkgroup 4000 – This will disconnect the active talkgroup and remove it from the auto-static status. Hint for the AnyTone AT-D878UV: I've made TG 4000 the first choice in the list of talkgroups in my 878. The talkgroup list can be accessed quickly by pressing the List key (a.k.a., Exit key), which is the red – – key on the right just below the display and above the P2 key. This means that disconnecting from a talkgroup can be accomplished with a quick set of two key presses: List, and then PTT, which makes it easier to disconnect from a busy talkgroup. Note: An alternative to using a public call to TG 4000 to disconnect from an auto-static talkgroup is to use a public call to TG 9, which for a hotspot user will, as I understand it, link you to your own hotspot. Note: During my testing, when I keyed up a talkgroup on my duplex hotspot (the MMDVM_HS_Dual_Hat by Florian, DF2ET, Mathis, DB9MAT, and Andreas, DO7EN), it was listed in the Pi-Star Admin Dashboard's Active BrandMeister Connections module as a Dynamic Talkgroup. After 15 minutes of inactivity, it was cleared off that list; however, it didn't get cleared from being displayed as the linked talkgroup in the DMR Repeater module (on the left side of the Admin dashboard). Turns out that this is due to the fact that the dynamic listing is dropped server side, but that doesn't trigger any action in the local dashboard. The Active BrandMeister Connections module is reporting actions on the server side, while the the DMR Repeater module is reporting local dashboard status. Make sure you have your hotspot turned on and the DMR mode enabled so that your hotspot is connected to a DMR server. 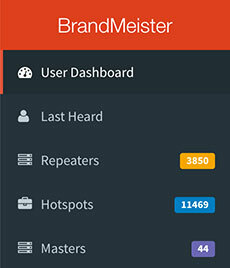 In the BrandMeister Menu, click My hotspots to open the list of your hotspots, and then click the CCS7 ID of the hotspot you want to configure. In the hotspot Settings window, scroll down to the Static Talkgroups section. Type the number of the talkgroup that you want to make static in the left field (or, on a mobile device or in a narrower browser window, the top field), and then click the Right-Arrow button to move it to the right (or bottom) field and make it static. The AnyTone firmware update process is different from other radios I've used, and I find it a bit convoluted, so much so that I end up having to hunt down and open the instructions every time I do it, so I'm going to record the steps here to make them easier for me to find! Download the updates from your vendor. This step always means downloading the firmware update and the matching Customer Programming Software (CPS) upgrade, because the AnyTone requires both to be on the same version. In addition, it is sometimes necessary to also download a USB driver update. Some vendors package them altogether; others list them separately. Extract any files that are zipped. Optional: Download the latest digital contact list. I figure if I'm going to go through the hassle of updating the CPS and firmware, I might as well bring my digital contact list up to date at the same time, especially given how quickly DMR registrations are growing. Important! Connect the radio to the computer, turn it on, open the previous CPS, set the COM port (on my computer, I have to set it every session), and then read the radio's codeplug. If a new digital contact list has been downloaded, don't bother reading the contact list, just the other data. Note: If you have trouble with the USB driver (COM port not found), it might be due to Windows third-party signature verification. For a workaround, see the Driver signature enforcement note below. Save the read data, and then close the previous CPS, turn off the radio, and disconnect it. Install the new CPS and, if needed, the new USB driver (I install the X64 version for my 64-bit system; a 34-bit system should use the X86 version). Open the updated CPS and then open the radio's read data that was just saved. If a new digital contact list has been downloaded, import it (Tool > Import > Digital Contact List), and then save the codeplug with a new name. Connect the radio to the computer, turn it on, and then in the new CPS, set the COM port. Turn off and disconnect the radio. While holding down both the radio's PTT key and Alarm button (the blue or orange button on top), turn the radio on, and then plug it into the computer. The LED Status Indicator will blink red. In the Firmware Update tool, opn the firmware update file that was previously downloaded (it will have an .spi extension). If necessary, choose the COM port, select Duplex, set the COM speed to the highest setting, and then click Write. The LED Status Indicator will glow steady red while the firmware is being updated. A message is displayed in the CPS when the update is finished. Turn the radio off, and disconnect it. While holding the radio's PTT key and PF1 button (the button with one bar just below the PTT key), turn the radio on. It should display: "Are you sure you want to Initialize radio?" (Formerly: MCU Reset.) Press Confirm. Do NOT turn the radio off while this is displayed. This process will wipe all the data stored in the radio. When the initialization/MCU reset process is finished, set the time zone, date, and time. Use the P1 button to move through the date and time fields. When finished, turn off and disconnect the radio. Connect the radio to the computer and turn it on. In the CPS, set the COM port, and then Write to Radio. Write both the Digital Contact List and the Other Data. When the write is finished, turn off and disconnect the radio. Should be good to go! I use a 64-bit Windows 10 laptop for my amateur radio programming. In early 2018, Microsoft released an update that is much stricter in its handling of third-party driver signature verification. Since then, in order to read from and write to my radios, I have to use an Advanced Boot Option (option 2 in this How-To Geek article△) to temporarily disable driver signature enforcement. To access advanced boot options: Shift + Restart. In Startup Settings, click Restart. After clicking Restart, type 7 to select Disable driver signature enforcement. The computer will restart with driver signature enforcement disabled until you restart again, and then you can read from and write to the TH-D74A via the MCP-D74 program. For older versions of Windows, see this WinTips.org article.